The time of the 56kb connections has faded out of memory for a lot of people (mobile users not withstanding). It was a time when browsers that could open a single page where enough, and no one could even predict a future with multi-tabbed browsing. Today, we’re overwhelmed by social networks, posts, replies, comments, photos, videos, and much more. Several systems have been created to overcome the need to look at every single tab to check for new activities. One of these methods are notifications, which are very widespread on different websites. 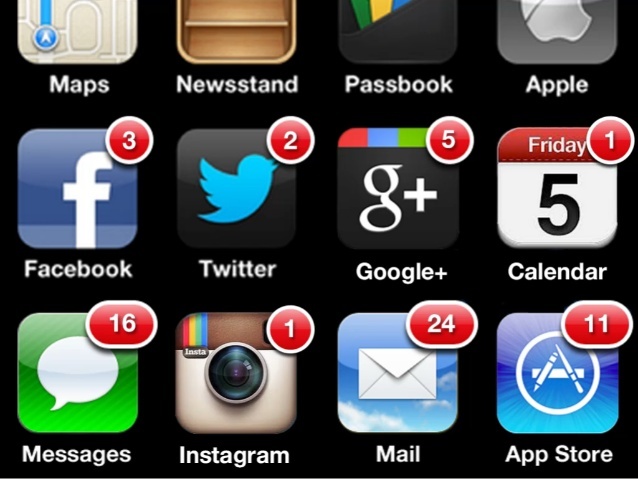 Until not too long ago, every developer had to implement notifications on their own, resulting in a whole set of different solutions. The W3C has defined an API to solve this problem in a standard way called the Web Notifications API. On mobile devices we’re very familiar with the concept of notifications. Try to be offline for a couple of hours and, as soon as you connect to the Internet, you’ll be overwhelmed by notifications from the different apps installed on your device. It’d be great to have the same mechanism for our web pages that work seamlessly on desktop and mobile devices. As stated in the introduction, such system has been developed and standardized, so today we have the Web Notifications API. The Web Notifications API is defined as an API for end-user notifications. A notification allows alerting the user outside the context of a web page of an occurrence, such as the delivery of email. The specifications don’t describe how and where a UA should display these notifications. Therefore, we’ll see different styles on different browsers and, based on the device we’re using, we’ll see the notifications in different places (for example on mobile we may see them in the notifications bar). It’s worth noting that before you can show a notification, the browser shows an alert to the the user, who must explicitly give his/her consensus. This API has been around for a while, to the point that the specifications have changed several times. The specification has known two major versions. The first version was implemented in older versions of Chrome and Firefox. Now, the specification seem stable, although as of April, 19th 2014 it’s still a W3C Working Draft. Thinking of some use cases for such an API isn’t very hard. For example, you may want to receive a notification as soon as you receive an email. You may also want to be notified if someone mentions you in a Tweet, or posts a photo of you on Facebook or Google+. Now that we know what this API is, and what it’s good for, let’s delve into the description of its methods, properties, and events. body: A string used to further specify the purpose of the notification. lang: Specifies the language of the notification. Its value must be compliant with the BCP 47 standard. Examples of valid strings are en-US and it-IT. dir: Defines the direction of the message’s text. Its value can be auto meaning that the direction is based on the browser’s settings, ltr to specify a left-to-right direction (for European languages), or rtl to specify a right-to-left direction (for some Asian languages). tag: A string that is used as an ID that can be employed to retrieve, replace, or remove the notification. icon: Specifies the URL of an image that will be used as the notification’s icon. It turns out that the settings we’ve just learned are also available as read-only properties of a notification instance. In addition, the Notification object exposes a property called permission. permission contains a string representing the current permission to display notifications. Its value can be one of the followings: denied, which means that the user has denied notifications, granted, which means the user has given permission, or default, which means the user choice is unknown. This API exposes two methods: requestPermission() and close(). As the names suggest, the former is used to request the permission to show notifications to the user, while the latter programmatically closes a notification. requestPermission() is a method of the Notification object and accepts an optional callback that is executed when the user accepts or denies permission. The choice is passed to the callback as a parameter, and the value can be granted, denied, or default. close() is an instance method and doesn’t accept any parameters. onclick: Fired when the user clicks on the notification. onclose: Fired as soon as the user or the brower closes the notification. onerror: Fired if an error occurs with the notification. onshow: Fired when the notification is shown. A basic example of using these events is shown below. Support for the Web Notifications API isn’t very good on both desktop and mobile. On desktop, Chrome and Firefox implemented the first version of this API a while ago. However, considering only the new version of the API, implementation starts from Chrome 22 and Firefox 22 (both without a vendor prefix). Safari 6+ also supports the Web Notifications API. On the mobile side of things, only Firefox and Blackberry have full support. Testing if a browser supports this API is a matter of writing a check like the one shown below. In this section I’ll show you a simple demo that allows you to so see this API in action. The demo is made of two parts. In the first part, there is a form that lets you write some text which will be used in the displayed notification. In the second part, a button allows you to quickly see what this API does using predefined parameters that I’ve included in the demo. Both these requests will trigger the request for permission to the user. Once permission is given, the notification will appear on the screen in case of a desktop, and in the notification bar in the case of a mobile device. In addition to displaying the notification, we attach a handler to each of the four events exposed by the notification instance. This handler will do nothing but log, in a specific textform element, the event fired and the button that fired it. In this article we’ve discussed the Web Notifications API and the use cases for it. We’ve also described the methods, properties, and the events exposed by the API. As we’ve seen, using this API is pretty easy, so it should not be hard for you to employ it in your next project. Unfortunately, its support among browsers is not so good, but because Chrome, Firefox, and Safari implemented it, on average we should be able to cover a good portion of our users. To reinforce the concepts donâ€™t forget to play with the provided demo and, possibly to try to change the code.